I studied massage and started practicing four years ago, specializing in Swedish, deep tissue, slimming, cupping and honey massage. I’m a real natural with a knack for hitting the right spot, with a silky soft touch and a superb flow and technique. Whatever area you need focused on or level of pressure you need, it can be delivered to absolute perfection. I take pride in my job and puts maximum effort into every treatment, resulting in a luxurious high quality body massage every single time. You most certainly will not be disappointed. ▶ Please note that my treatments are strictly professional, no extra services. Please contact me on WhatsApp on 07533472763‬ for a faster reply. Drop me a message and let’s discuss what you need. I’ll be happy to hear from you! Really loved my massage with Sia. She is a gorgeous girl with amazing soft hands. Think I got a little turned on, but she is all professional, no funny business. Highly recommended! Thank you Anastasia. I really enjoyed massage therapy. Highly recommend her massage service in London. Anastasia arrived right on time which I like.I know in London it can be very difficult with traffic and public transport to arrive anywhere on time so when it goes to plan it is appreciated. 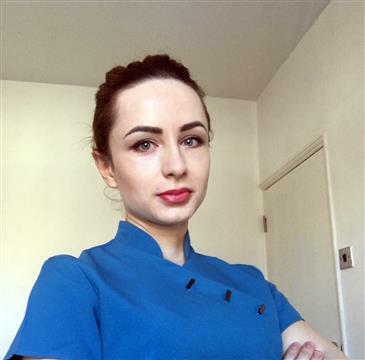 I was asked the pressure I would like and if any problem areas and I told Anastasia, who is Romanian, that I needed a full body relaxing massage. No pain just relaxation and that is exactly what I got. Anastasia has amazing warm soft hands that were just made for massage and the 90 minutes absolutely flew by. Anastasia has a wonderful attitude. I will hopefully be booking again very soon!